Monuments, markers and vaults are items you may need to purchase for your property at Riverview, depending on the type of lot you choose. Upright monuments are a lasting tribute to a family. Riverview can help you choose a monument if you have purchased a lot that allows for one. We offer many types and designs, including customized designs. 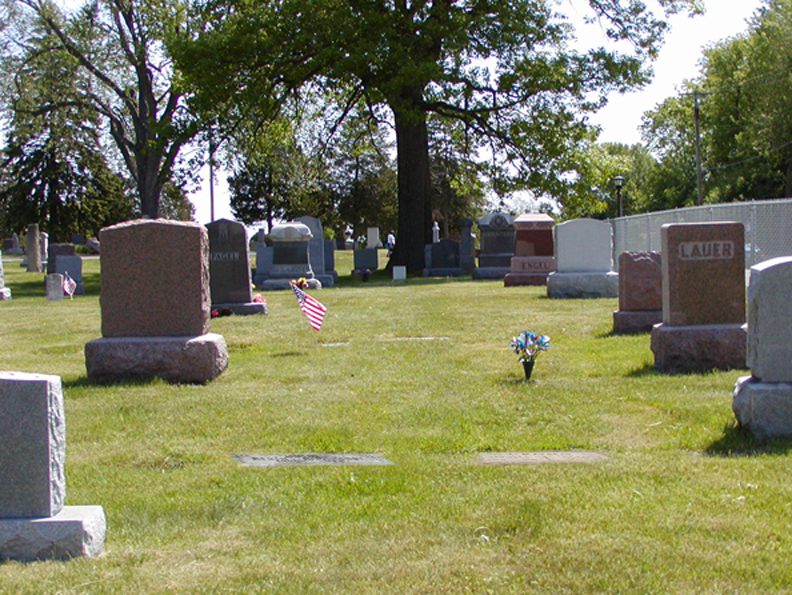 Monuments can be placed on double or family-size lots (two or more graves), depending on the location of the lot you choose in the cemetery. Only one central or family monument is allowed on a monument lot. Individual markers (with names and dates) may be placed at the grave sites of each family member within the lot. A memorial marker lists the name, birth and death dates for the person buried in a grave. It provides a lasting link to departed loved ones – one that future generations can visit and remember. 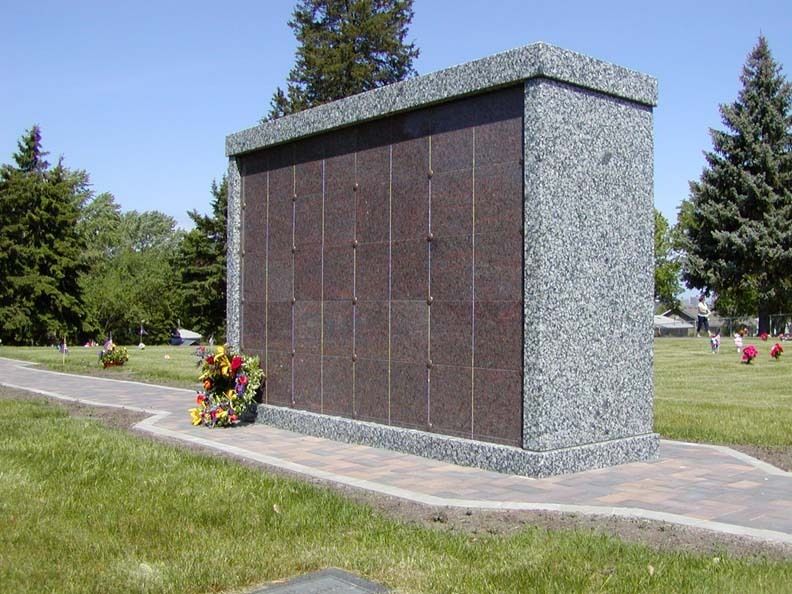 A burial vault is a durable container inserted into a grave to protect the casket. Riverview requires a burial vault (or concrete grave liner) to give the ground above an even appearance and help reduce the chance of a visitor tripping on sunken ground when walking in the cemetery. Cremation urns and urn vaults are items you may purchase directly from Riverview, depending on the cremation memorial option you choose. Riverview staff can help you make these purchases. A cremation urn is a container used to hold cremated remains. Riverview requires a permanent cremation urn for entombment in niches (compartments inside a columbarium). Riverview can help you choose from a large variety of urn shapes, colors and materials including bronze, stainless steel and marble. Some materials, such as bronze, can be engraved. An urn vault is a container that is placed in a grave to hold the urn. Urn vaults protect the urn from the elements, and help keep the ground above from sinking in over time. Urn vaults are available in a variety of materials and some can be customized with an emblem or engraving. You also have the option of placing memorabilia in the urn vault with the urn. Do you want traditional in-ground interment (burial) or an above-ground inurnment (cremation) in a columbarium? If choosing cremation, where will the body be cremated? Markers, monuments, final date engraving, graves, lots, columbarium niches, vases or urns may be purchased at the cemetery office. Pre-Planning for cemetery services and merchandise is available through our office. Please call (651) 457-1109 with any questions or to set up an appointment.